Before BEA when I was reading informational posts, everyone was saying to ship your books home. I’m so glad I didn’t do this! After BEA I heard several horror stories about people losing their boxes of shipped books! They never arrived, or they arrived super damaged, or the box arrived without the books (so we assume the books were stolen, OMG!). Instead of shipping books, I packed one suitcase inside the other on the way to New York City. Then, on the way home, I evenly distributed my books between my two suitcases (to spread out the weight), and packed my favourite 5 in my carryon. Doing this avoided overweight baggage fees (my heaviest bag was 44lbs—6lbs below the limit). Also, I think airports are more reliable with baggage than the post office is with packages. Even if your suitcase does end up in the wrong place (pretty unlikely), they will send it to you. But for me, the best thing about this arrangement was that I didn’t have to wait for my books. People get home from BEA and have to wait 2-7 days for their books to arrive. I liked knowing that my books were close to me at all times and I got to pick them up as soon as my plane landed! Some people go to BEA and grab EVERY. SINGLE. BOOK. I honestly don’t get it. Don’t grab a book just because it’s handed to you. I actually did that once because I was so surprised that the books were literally thrust into my arms, but I ended up leaving those books at the hotel because I just didn’t want them. Other than that, I was really conservative at BEA and only grabbed books I really wanted; and I’m SO glad I did that. No matter what, you’re going to come home with a huge haul that will take you months to get through. Don’t waste packing space and shelf space by grabbing everything. Stick to the books you want. Compared to some people, my BEA schedule was modest. I didn’t want to attend every single signing or get every single book. I expected to come home with about 15-20 books, since that’s what was on my schedule. I came home with almost double that (nearly 40 books). You will be pleasantly surprised to find some books at BEA that you didn’t know would be there (for me it was Fractured by Sarah Fine!). And, of course, you will discover some new books that you weren’t aware of before that sound AMAZING! I think this is one of the reasons why the previous point is so important. You will get more books than you think, so try to be conservative in what you grab. If a book only sounds like it “might be okay” then skip it! There’s no reason to grab books that you probably won’t read. Force yourself to be social! Once someone starts talking to me, I have no problem chatting it up. But, I am HORRIBLE at initiating conversations, and I think this was a problem for me at BEA. Part of the convention is networking, which means talking to publicists and people around you in line, and handing out your business cards. I didn’t do enough of that! I tried to do a little, but I still had a problem saying the first word, and as a result I don’t think I met as many people as some other bloggers did. I would so be that stupid person that grabs every book handed to me. It’s like an addiction. Someone offers, I must have! All those lost books???? Horrible. I hate that. Different scenario but still sad: My mail people have stolen so many of my ARCs and other packages (caught on our security cameras too) but even with evidence, the post office didn’t care and said we couldn’t do anything about it. So I bought a UPS box, never had a problem again. No you don’t have to pay for the books. 🙂 But the way I see it: you pay for your BEA pass (something like $135) and that covers all the books! I really want to go to Bookexpo America this year, but a lot of the authors I want to see are at Bookcon. I am having a crisis! I don’t know if my parents will allow me to go to both. 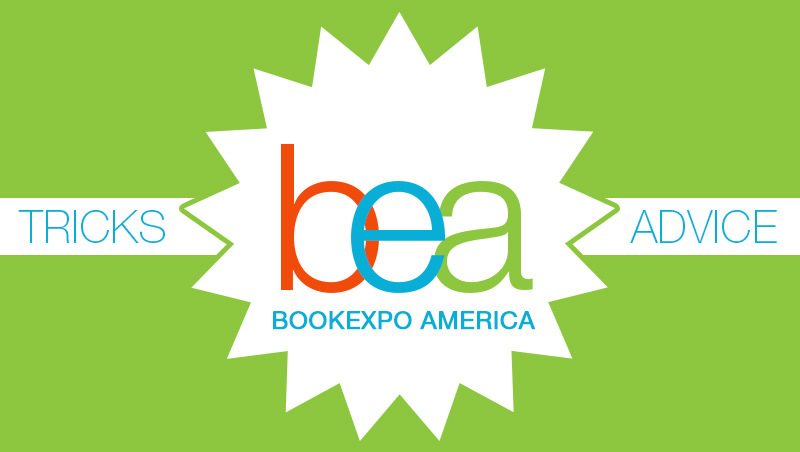 Did you go to Bookexpo America and Bookcon? If so, which one did you think was better? Which one should I go to? I like BookExpo America infinitely better than BookCon. The biggest reason for me is that it’s MASSIVELY less crowded at BEA. At BookCon, there’s a big chance you wouldn’t even be able to see all the authors you’re interested in anyway because you’ll spend so much time waiting in line. But I guess it depends on your priorities and what you’re hoping to get out of the event. If you’re really interested in listening in on panels then BookCon might be more your style. Oh gosh…I would absolutely LOVE to have an opportunity like this. Why doesn’t Australia do these things?! WHY JUST WHY??! I’m lucky enough to live at driving distance from NYC, so I have always carried my books with me. I’m one of those that plans a schedule, but I try to go for what I want the most (unless I can clone myself!) Yes, a lot of people try to hand out books and it is really hard to say no, but I try to take home only what I think I would read. Ashley, I think I initiated our conversation on the SHP line! LOL! In any case, great tips. I am lucky to live right across the river, so I just packed my suitcase and threw it in the car. But I did pack one inside another just like you! And I didn’t take every book. I came home with 110 books last year, and that was after rejecting so many. I did the same at ALA. I came home with 100+ books from ALA, but I rejected SO many. I didn’t want to take the ones I knew I’d never read. I am attending the blogger conference this year and I can’t wait. I’m gonna chat it up and be super social and make friends and everything! My friend and her sister went to the power reader day and her sister grabbed EVERY book she saw. She was nuts and then she ended up donating more than 1/2 of them to the library and other places b/c she would never read them. I don’t think it’s a bad thing that she donated, I would do the same, but I think it’s ridiculous that she had so many she didn’t want. Lol I bet you did! I hope I see you at BEA again this year! I agree. Leave them for the next person. 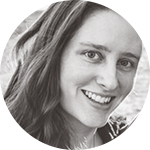 Are you attending the blogger conference? Cool! This will be my first time attending the conference. I bought my pass when they first put them up (was afraid they would run out of passes). Didn’t realize it included the pass to the exhibit hall, as well. I have been waiting for the media passes to come out, but nothing yet (which is weird b/c they usually come out with registration by January). My co-bloggers want to attend but not the conference. Looking forward to seeing you again! Make sure you talk to me! LOL! I think I heard them say on Twitter that the media passes would be out in March! Ah, thanks for the tip. My Twitter feed is so big, I miss everything! LOL! If you don’t mind me asking, did you go alone? I’d love to go next year but it would have to be on my own. However, I don’t want to be the only person wandering around on my own! Jennifer @ Live to Read, Love to Read recently posted: CG Swap Show Off! This year I will be going by myself, but I know several blogger friends who are going, so I’m hoping to meet up with them there. Hopefully I’ll see you there this year! I love reading these BEA posts! As a first timer, it’s fun to hear all these tricks and tips. Hopefully I won’t feel as overwhelmed. See this was the same with me. Everyone kept saying to ship my books right from BEA, but I didn’t. I brought them back to the hotel and put most of them in my bags. I did end up having to ship like 20 of them, but our hotel had a FedEx counter in it and I shipped them home from there. Shipped them on Thursday morning and they were in my office on Friday waiting for me. When I got in on Monday there they were. If I manage to go again this year, I am going to ship all mine home through FedEx or UPS, cause let me tell you 70lbs of books, plus clothes is a lot to carry in your luggage. I bought a ticket for the Power Reader Day last night but I have no idea how I’m getting there right now…maybe Amtrak from South Station, Boston to Pen. All I know is that I’m determined to go before it moves to Chicago and I really have no way of getting there because airfare is ridiculous! I really hope I can go to BEA some year, I know this one is out of the question though. I will definitely bring a second suitcase, I heard about book boxes being lost too and I don’t want that to happen. Hopefully I’ll get a chance to see you this year! These tips are so true! I underestimated the amount of books that I was going to get last year by a lot and I regret bringing a backpack instead of a suitcase. I definitely wasn’t social enough last year but for this year, I’m trying to be more social in general. Are you going again this year Ashley? BEA is amazing and I’m so glad I went and I’m going again this year. Another thing to think about is that if you do grab way too many books (and you will, it’s inevitable), on the last day, there were a lot of people back in the shipping area who were trying to figure out which books to take and which ones to leave — I ended up swapping some books I’d grabbed that weren’t really for me for ones that were with people who hadn’t gotten something I had! Another great tip is that if you live nearby a train station, taking the train to NYC can be a great way to cut costs. I live in Michigan, which is a flight that is less than an hour and a half, a drive that is eight hours, and train that is 15 hours. Was it a long train ride? Yea. But I got on it at around 3 a.m. and slept most of the way and paid 40% of what I would’ve paid if I took a train. And I read the rest of the time. Also, you can get away with LOTS of carry on if you need to on the way home. I shipped about half my books and didn’t have a problem, but anything I got autographed, I put in my own luggage. Lastly, hotels are NOT your only option. AirBNB and Roomorama are websites where people who have extra rooms, apartments, or who are going to be out of their apartment, rent them to you. The cost is SO MUCH less. There are TONS of reviews, so you can find out who is kind of creepy and who isn’t. And if you’re willing to be a subway person and not afraid to venture away from Times Square, the deals are awesome. I stayed up in Washington Heights/Inwood which is still in Manhattan, but at the very top of the island. I was able to get away from the chaos of the city when I wanted, and take a 20 minute express train in when I did. It was so cheap, I was able to stay for four extra days. I stayed with a bilingual single mom from Venezuela and her roommate and roommate’s boyfriend. I made GREAT friends with them, I learned things about a new culture, I’m going to stay with them again this summer (this time for 18 days — and I’m paying under $800 for nearly three weeks), and when I move to NYC in a couple years, they’re going to help me find a good apartment. You can make it super affordable and make it more than just an experience of standing in line with little tweaks. I’d love to!!! 😀 Can’t wait to see you again! It sounds like you had a good experience at BEA. Meanwhile, I was probably doing homework or training for tennis *dramatic sigh*. I’ll go someday. I hope. Really great tips! I hope one day that I can go to BEA. And I love the suitcase inside suitcase idea… very smart! I don’t know if I will ever get to go to BEA, but if I do these are really good tips. I’m flying over from the UK to attend BEA. This will be my first US trip, as well as my first BEA. I am super excited about it but also nervous so these tips are great for me! I love the suitcase within a suitcase idea, I think I’ll have to try that one because shipping costs to the UK will be crazy! You should absolutely go the suitcase route! Shipping costs would be INSANE. Maybe I’ll see you there! 😀 If I attend this year I’ll be coming from the UK as well. That’s some very good advice. I’ve never been to a book expo and I think I would have a hard time initiating conversation. If I ever do go to one I’ll remember that and just try to talk to everyone. I’m going to the BEA this year, could you recommend any hotels in New York? Not really. 🙁 I go with my family so we usually stay in a pretty fancy (expensive) hotel. I don’t know any other places! I recently started working for a publisher in Europe and I’ll be attending BEA to represent my company. It’ll be my first time and this post just fuels my excitement! It sounds like the Holy Grail of book events. Pingback: Important Announcement! (& Book Bloggery Week-in-Review #48) | Oh, the Books!